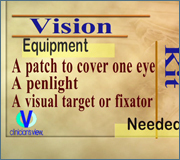 This functional vision screening video provides demonstration of functional vision skills and step-by-step instruction of each item in the screening protocol. 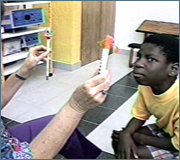 Normal and problem responses are demonstrated for each skill. 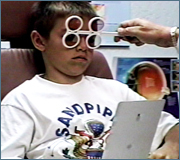 Screening procedures are presented for ocular motility, fixations, saccades, pursuits, and convergence-divergence, Indicators of functional vision difficulty are clearly identified.